HQ 2017 #FineWining pairing dinners launched with bubbly Graham Beck evening! 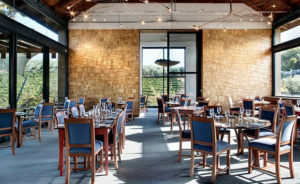 Tokara named 2016 Best Wine Tourism Restaurant in SA, reflects trend to local cuisine! Domaine des Dieux tasting at OpenWine opens with a Sabrage! 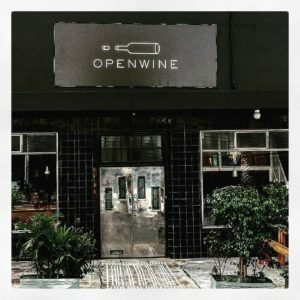 OpenWine ‘Taste Pair Shop’ Cape Town tasting centre, pairs wines with food! OpenWine ‘Taste Pair Shop’ opened on Wale Street in a chic less-is-more venue a month ago. 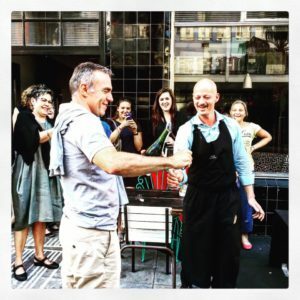 Yesterday Seth Shezi and I visited OpenWine, and found two very friendly Italians who are passionate about promoting and drinking South African wine.